I recently had the great honour to virtually chat with Gary Arndt of Everything Everywhere and he agreed to answer five questions for a very special Wildlife Wednesday post! 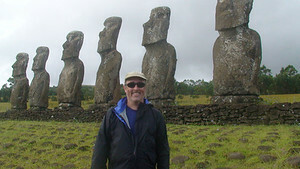 If you read travel blogs or are part of the travel circuit chances are you are familiar with Gary. But for those of you who may be living under a rock (kidding), Gary Arndt is a passionate traveler who also happens to be one heck of a talented (and self-taught!) photographer. In fact he was just named The Society of American Travel Writers 2014 Photographer of the Year. On the move is an understatement for Gary. In 2007, he sold his house and has traveled the world ever since. He has been to all 7 continents, over 130 countries and 9/10 Canadian provinces. The only one he’s missing? SASKATCHEWAN! We gotta get him here.During his many travel experiences, Gary has often made time to view, hang out with and photograph incredible wildlife. And he seems to like getting close. Adventures include swimming with whale sharks in Australia and great whites in Africa. So, I really wanted to ask him a few questions as I really admire his work. I am super stoked that he obliged! 1. If you could photograph any wildlife what would you choose? I have never done an African safari. I would like to photography some of the larger mammals in Africa at some point. 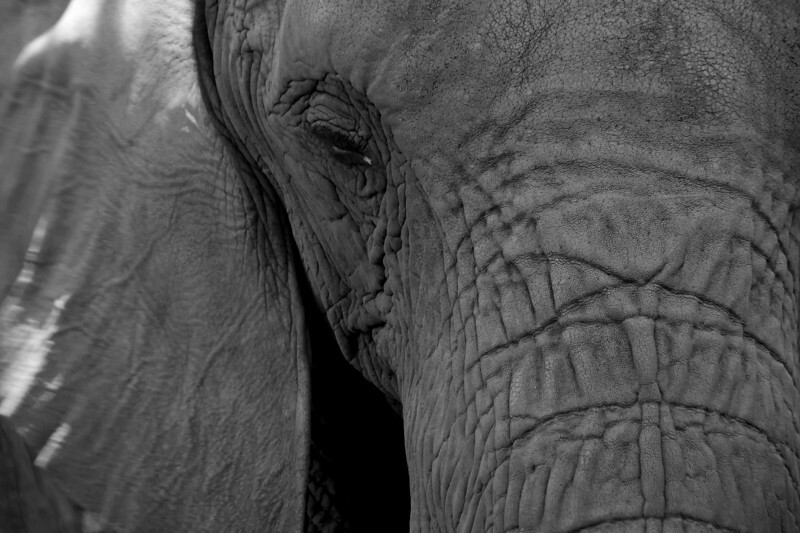 This fantastic image of Gary’s was taken Hartbeespoortdam Elephant Sanctuary in South Africa. 2. Have you ever had a funny (or scary) wildlife encounter? It wasn’t as scary as it sounds, but I was within 15m of a wild polar bear in northern Manitoba. We were with guides that had guns and bear spray, so the situation was controlled, but it was closer than most people ever get. *I told you he liked getting close. 3. What has been your favourite wildlife experience? Probably being on shore with 100,000 penguins on South Georgia Island. Nothing else quite like it in the world. 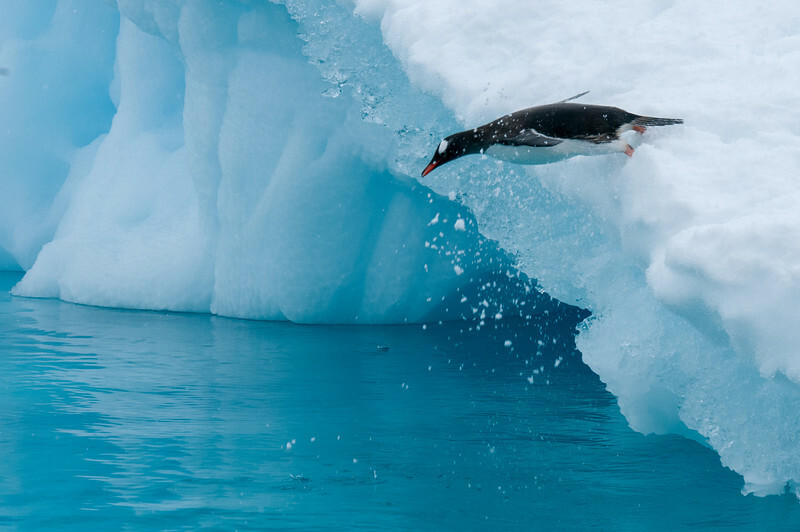 A penguin dives into Paradise Bay, Antarctica. 4. Name three places for amazing wildlife photography. 5. If you could be any animal what would you be and why? Thanks again to Gary for taking the time out of his incredibly busy schedule! Catch up with Gary on his blog, and be sure to follow him on Facebook and Twitter too! All photos courtesy of Gary Arndt. Nicely done with Gary and I love the Penguin dive! Thanks again Maria for your kind words and for stopping by my blog! Have a wonderful day! Wildlife is hard to shoot (especially when the animals move!). And the long lens is heavy to lug around. We admire Gary’s passion and photographic skills :-). Oh gosh me too! Thanks for stopping by!